This morning’s hike was a gift. It’s starting to get warmer here in the desert. We are already into the 80s and the 90s are mere days away. It’s the trade off for our wonderful winter. Yucky hot summers. I’ve been anticipating, taking all things that can melt out to my car in preparation. But, today, this morning was a gift. It rained last night. This morning was overcast, moist, Pacific Northwest fantastic. Blue blues and crisp greens. The trail was damp, forgiving, and tiny droplets of water were still nestled into the leaves of the creosote. The air smelled of morning and rain. Jack and I were in heaven. Yes, summer is still coming, but today, right now, is perfectly pink cheeks and I am so grateful. My thoughts from the laundry room. Cool Sheets. Great picture! 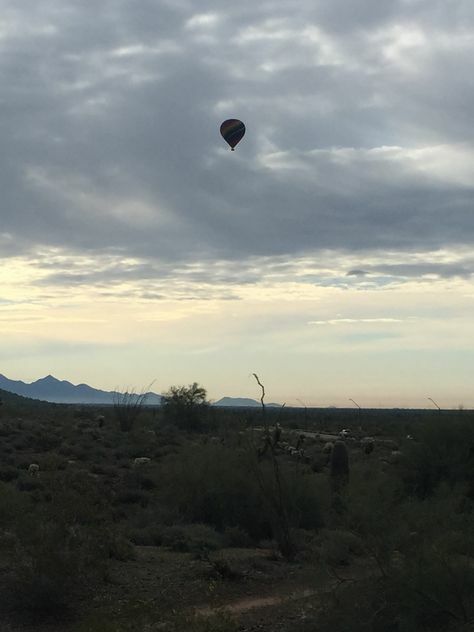 We have hot air balloons coming over our house in the early mornings – 3 seasons of the year. I love seeing them. The rest of our land looks nothing like yours but all great mornings have something in common! I am a spring gal. All the way. And fall. Give me crisp anyday. Glad you enjoyed!